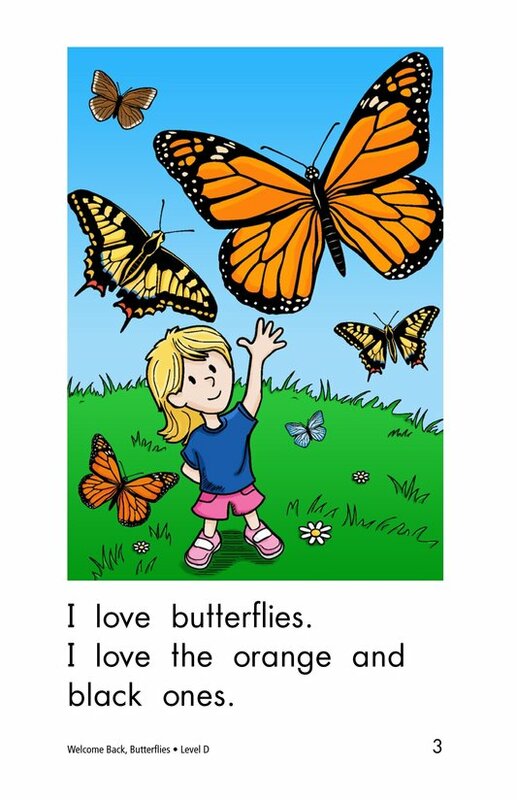 In Welcome Back, Butterflies, the girl loves butterflies, especially the orange and black ones. 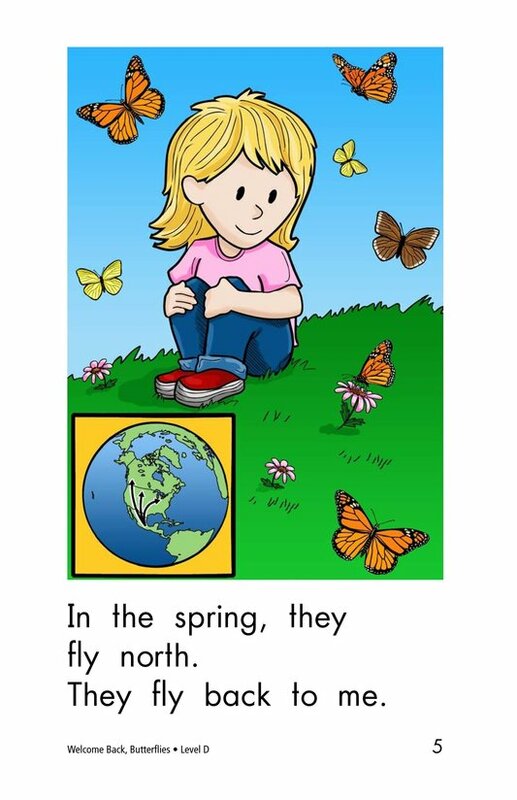 She watches them fly away in the fall and come back in the spring. 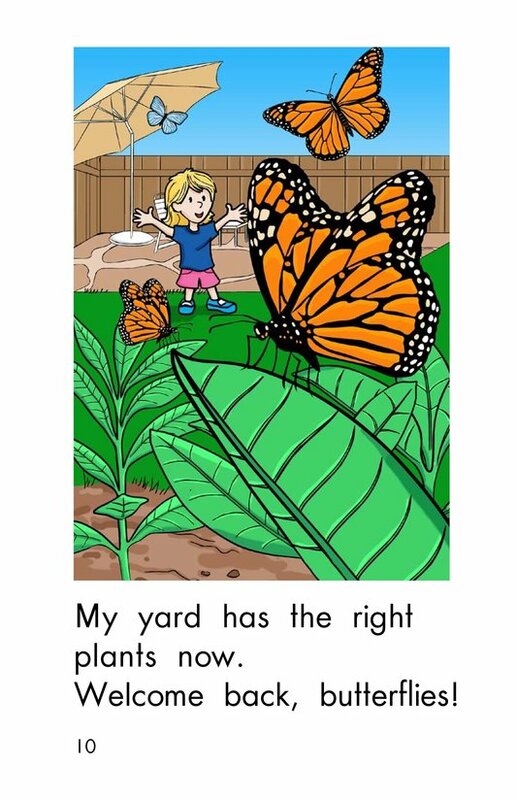 She wants the butterflies to come to her house. 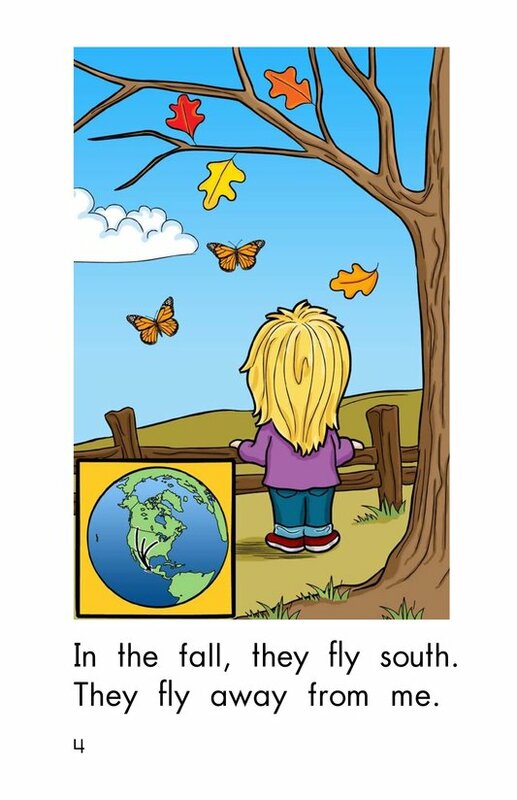 How will she get them to come? 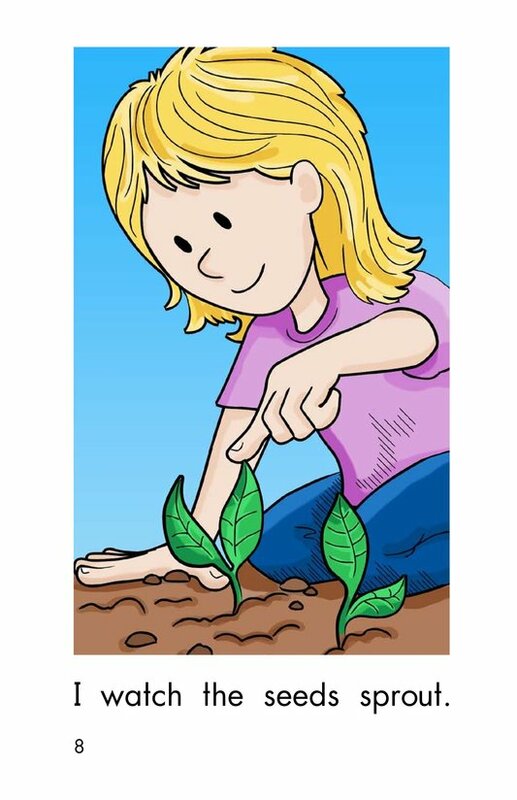 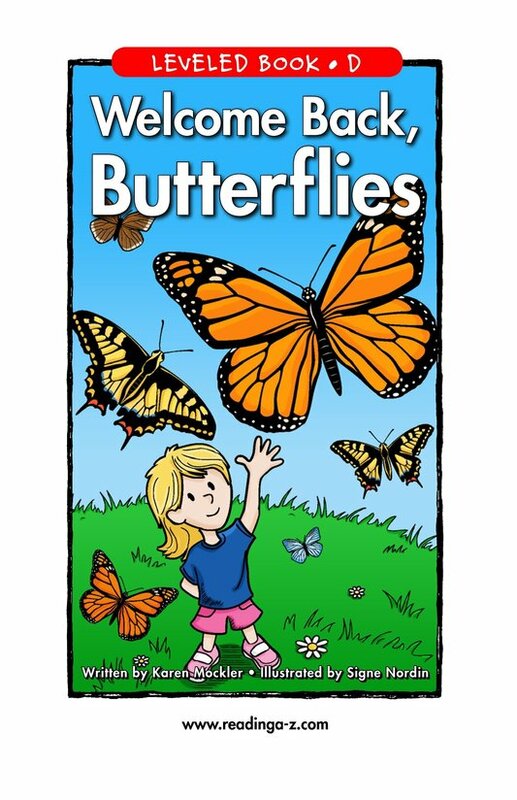 Students will have the opportunity to identify the author's purpose in this simple, informative story. 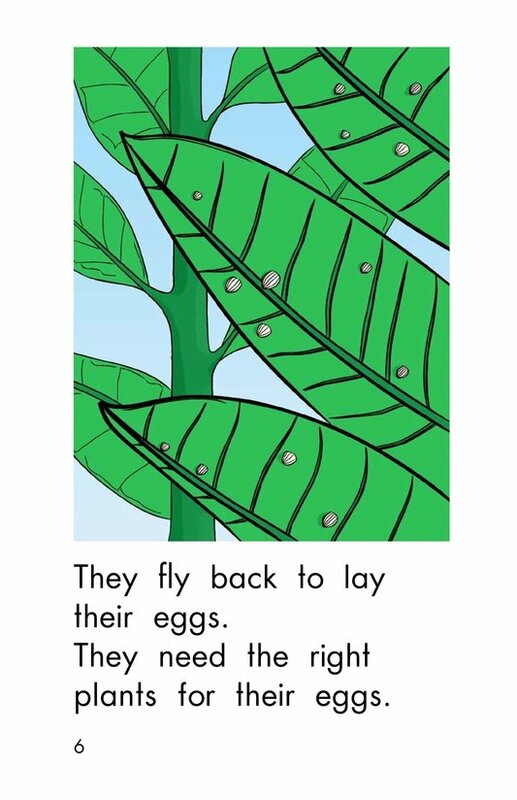 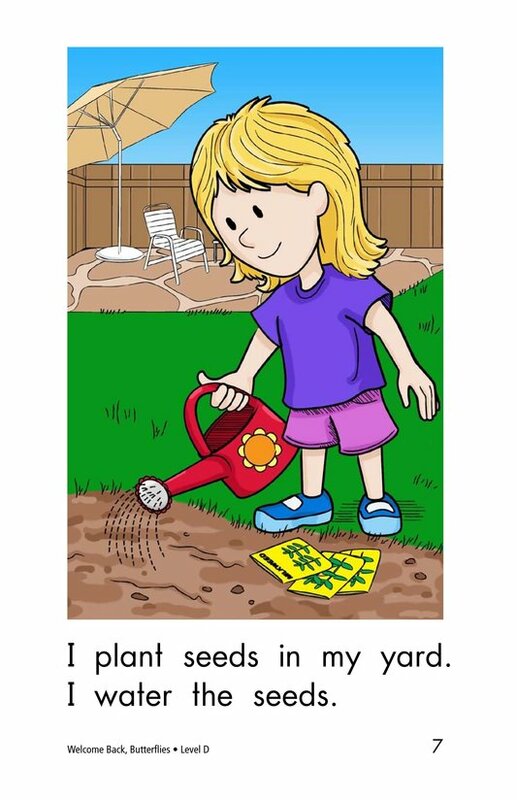 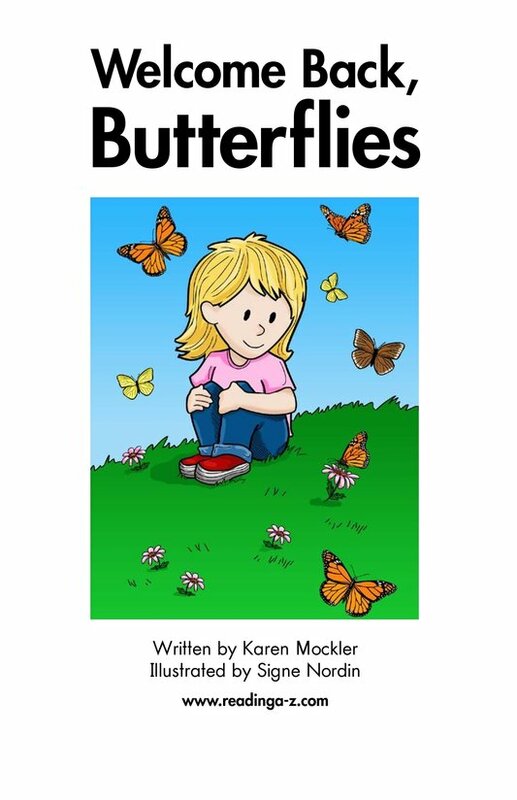 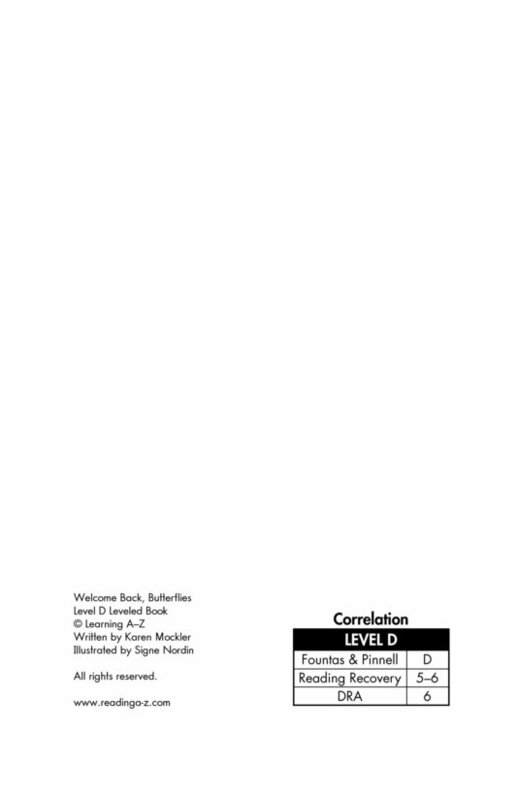 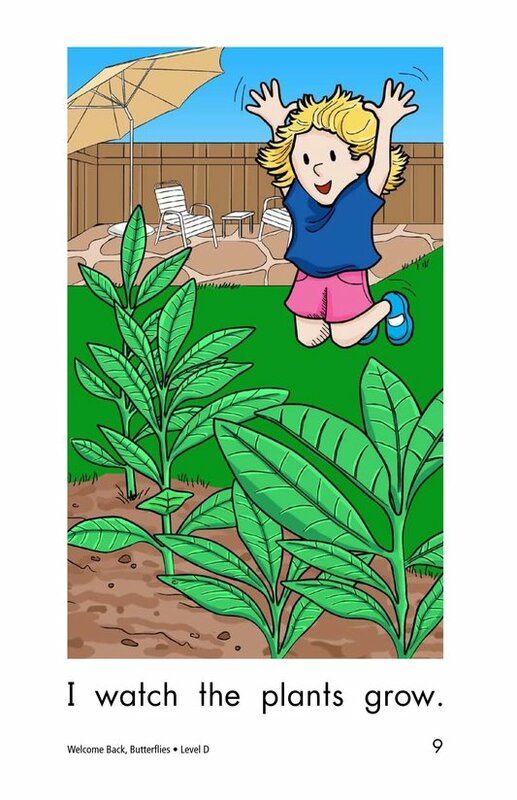 Detailed illustrations, high-frequency words, and repetitive text support early readers.